From the anthropological perspective on the problem of evil, therefore, the prime concern is not so much to defend the notions of divine justice and power. It is rather, as in other personal relationships, to determine what measure of continuity, stability, and predictability can enable the relationship with God to survive all shocks. It is to identify the cluster of beliefs that supports a person’s will to persist in the face of tragedy and suffering. If the world I live in requires that I become overly vigilant because of the threat of danger striking at any moment, then how can I sustain commitment to a way fo life predicated on God’s covenantal love and justice? How do we respond to events that can call into question our whole identity as God’s relational partners? Note: If you haven’t read Part 1 of this “meditation” already, please do so before proceeding here. An atheist can dismiss such questions by dismissing God. The presence of tragedy, suffering, and evil can be accepted as conditions of a natural world filled with imperfect human beings. It can also be a world that, while imperfect, is struggling to develop toward a higher moral and ethical reality as indeed, progressivism strongly believes. Human beings then, establish and revise the foundations of our own morality, sometimes radically, as time advances and the concepts of rightness, mercy, and justice continue to evolve in societal consciousness. The covenantal Jew on the other hand, perpetually wrestles with God as did Jacob (Genesis 32:22-32) before his confrontation with the (supposedly) murderous Esau. But it’s in that battle that a Jew struggles not only with God but with himself. But in Rabbi Hartman’s viewpoint, a Jew is not simply a conduit for the cosmic forces of an Almighty Being to use to manipulate the course of history or even personal events. The acceptance of that responsibility therefore need not entail that paralyzing sense of guilt alleged in Paul’s criticism of the law. Nor does mitzvah demand unconditional obedience without rational discernment, since the halakhah expects from Jews not just a dedicated will to serve God but also a reflective, sensitive, and critical moral disposition. This takes away the motivation for a covenantal Jew to say that “God told me to do it” when facing a moral decision or in responding to personal disaster. The Torah is not a static set of rules carved in stone but rather a moral imperative written on the living and beating heart of every Jew. Each situation must be examined and evaluated not only against the yardstick of tradition and the mitzvah, but as potentially a wholly new phenomenon that may require a completely unique and unanticipated response, framed within the organic, evolving Jewish moral and historical tapestry. Every talk, every letter, every teaching of the Rebbe must be understood in that context: We are not prisoners within an ominous world; we are the agents of its Master. We are not here to placate the world, but to repair it; not to reform ourselves to its tastes, but to reform it to the tastes of its Creator; not to conserve Judaism, but to be an organic part of its flourishing growth; not to reconstruct it, but to use it to reconstruct our world. Because ours is not a Torah of the past, but one that beckons to us from a magnificent future. The Rebbe’s response to the challenges of a world and its developing, progressive morality is to move one giant step backward and to take a “metaview” of that world. Human advancement and even human history is transitory. Modern liberal progressive thought acknowledges that morality is not a fixed entity and adapts across time and the needs of the human spirit. While the Rebbe no doubt had a more established sense of moral and ethical standards, he also understood that the world is not ownerless or that, human beings are not the only “landlords” of reality. The world has a Master and we are His agents. When you stand in a place of enlightenment, the Rebbe so often taught, you may have boundless, infinite light—but you do not have G‑d Himself. 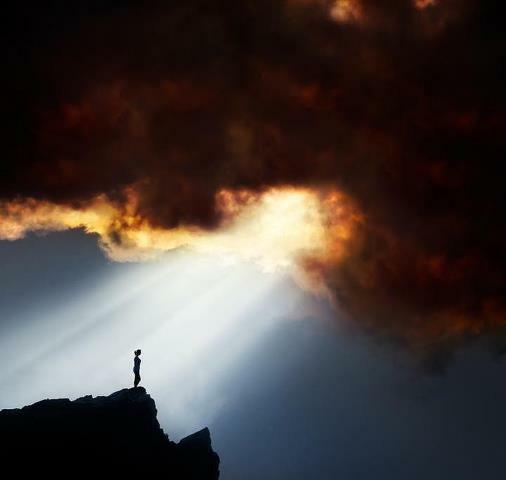 In the void of light where this world was made; in the darkness of Jewish exile, where we must choose life from the depths and create our own light to find it; in a society that forces us to wake up, take the reins of our own lives and challenge everything—there we touch G‑d at the very core. 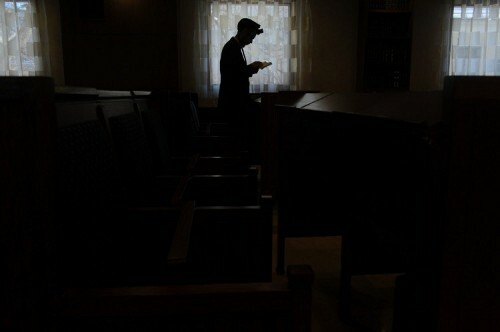 A Jew may be surrounded by darkness but he stands in a place of light and it is from that light, regardless of how hopeless the circumstance, he must proceed, carrying with him not only the strength of the traditions of the past, but the infinite hope of a future from which the Moshiach will emerge and where God will rescue His people. Atheism, progressivism, secular humanism are conditions to be wrestled with, to be “grabbed by its horns and harnessed,” but they are not defining, either of a Jew nor the world that is ultimately owned by God. My understanding of all of this is that Judaism may wrestle with itself, with the demands of society, and ultimately with God, but it is the Jewish identity that remains the one constant that enables them as a people, to move forward, to survive not only challenges, but horrors, and that will see them finally standing at the foot of the throne of God, receiving His promises of life and peace. As I’ve been writing this, I’ve been seeing a few elements that can be adapted to Christianity and those promises we expect to be fulfilled by our Master at the end of this age. But we must also learn to establish an identity that can engage our environment without fear or despair. Our “liability” as such, is that we Christians are commanded to not only encounter our neighbor and love him, but to attempt to convince him to adopt our faith and our worldview (which is something no Jew must face). In that, we present ourselves as agents of the world’s greatest benefactor while being perceived by many in the secular world as humanity’s greatest enemy. We are ridiculed and reviled by atheists and humanists and in response, we struggle with our own doubts, retreat into concrete bunkers of inflexible dogma, or attack the inhabitants of an unbelieving world, thereby abandoning our evangelical imperative. But we can neither ignore the world nor hate it. We are commanded to live in it and to live with faith in God. Like the covenantal Jew, we must be anchored to our legacy who, for us, are the Apostles and disciples of ancient times, and also look to the hope of the future when Jesus returns. In the meantime, like the Rebbe, we need to seize the world around us and live in it, though we are not of it. We must treat each person we encounter with love, respect, and dignity. Our values do not require that they respond in kind, only that we are consistent in imitating the example of our teacher and Master by being involved and by being a light. We are not trapped between a hostile and violent army and a vast and unconquerable sea. We can move forward. The sea will part. But first, we have to get our feet wet. Addendum: Just found an article at Commentary Magazine on liberal intolerance of religious folks (in this case, Jews) called Liberal Prejudice Against the Orthodox Crosses a Line. I can see we have a long way to go.